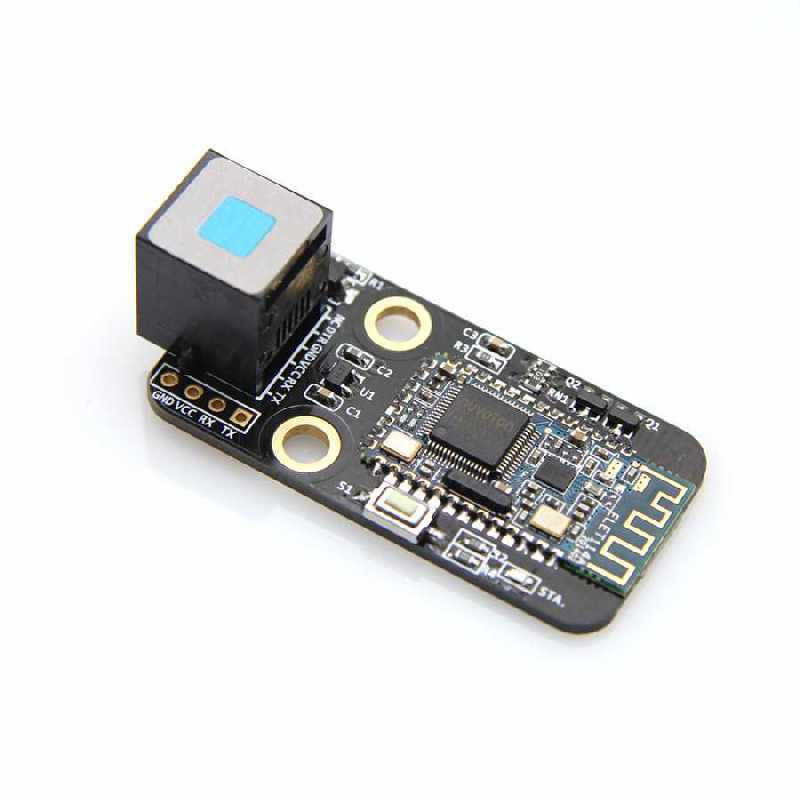 Me Bluetooth Module is designed to communicate with devices with bluetooth function through specific software. We provide an Android App to use it. It is compatible with bluetooth 2.0 and 4.0. This module should be connected to PORT_5 on Makeblock Orion. If your device needs a passcode, please try 0000 or 1234. Support mobile device (Android/IOS device) to control electronic modules. Support Scratch For Robot programming control the modules via Bluetooth. Support Arduino IDE programming control, we also provide Makeblock Library for Arduino, easy programming. Using RJ25 cable connect the Makeblock main board, super easy to wiring. Modular installation, and compatible with LEGO Bricks. Come with header, compatible with most of main boards in the market based on Arduino. Operating Voltage: 5V DC power. Version: Bluetooth 2.0 and 4.0 compatible. Level Output Voltage: 5V/high, 0V/low. Dimension: 52 x 24 x 16 mm (Length x Width x Height).